Tesla CEO Elon Musk took to Twitter to announce that the company has logged nearly a quarter billion miles driven on Autopilot, adding valuable data to its fleet learning program. By comparison, Google has registered 1.5 million miles of self-driving through its Lidar-equipped test vehicles. The tweet from Musk comes just days after the California Department of Motor Vehicles (DMV) proposed new regulations that would prohibit car makers from using the words “auto-pilot” or “self driving” when describing a car that is not a full Level 5 autonomous car. Tesla vehicles built since October 2014 log data from every mile driven, whether the car is operating in Autopilot mode or not. 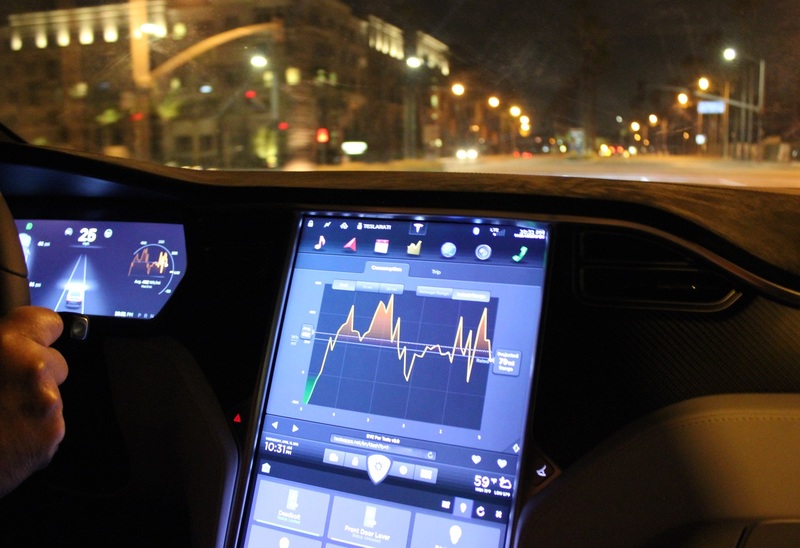 Even if an owner forgoes the purchase of Autopilot, the car still transmits wireless driving data directly to Tesla and into its cloud based machine learning network. By using data sourced from drivers in the real world, engineers at Tesla are able to continuously “train” the vehicle’s algorithms to predict the types of objects around a vehicle, and with increasing levels of confidence. Aviation Week illustrates a great example of an Autopilot-equipped Model S in Australia unable to accurately identify a kangaroo. Though the vehicle originally classified Australia’s most iconic marsupial as a large dog, after months of fleet data collected from Down Under, all Tesla vehicles across the world were able to learn the behavioral characteristics of the kangaroo and properly categorize it. Tesla’s latest v8.0 firmware update places more emphasis on input from the vehicle’s forward facing radar. Combined with fleet data and machine learning, Tesla vehicles from around the world continue to work with one another on a shared vision of becoming fully autonomous one day while reducing risks associated with human error.